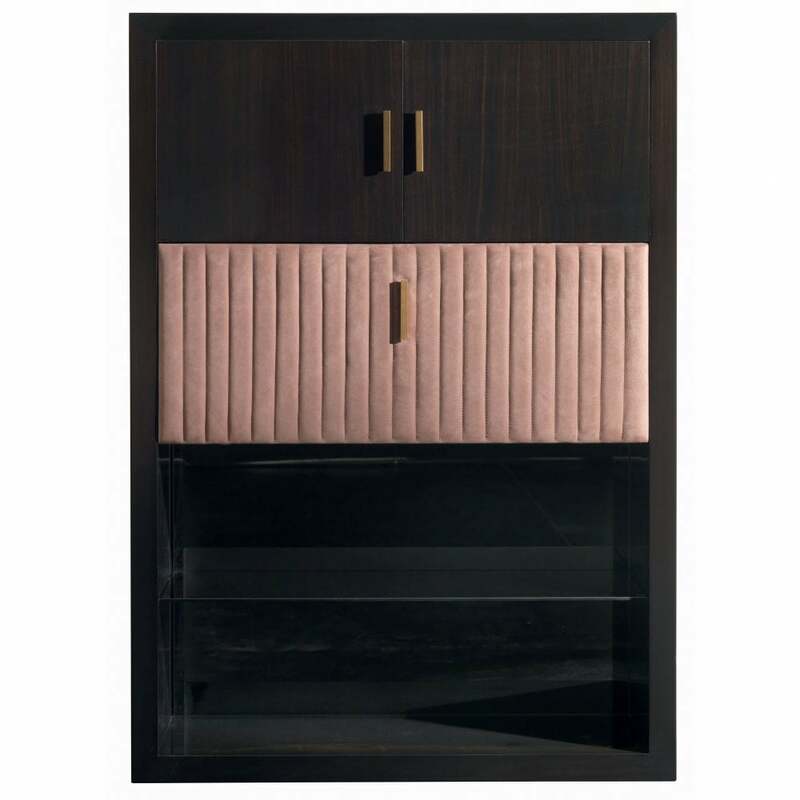 Embrace the luxury style of the Harris bar cabinet from Daytona by Signorini & Coco. The statement bar cabinet is created from luxury mixed materials. The bar cabinet is formed from two main sections. The underneath cabinet and top cupboard are presented in a rich dark walnut veneer. Contrasting with this is a padded upholstered grosgrain leather cupboard with complementary burnished brass handles. Create your bespoke piece from the Daytona range, both elements are available in a range of fabric and finishes. This enables you to expertly match the Harris bar cabinet to any living space.